A nearly 40 per cent plunge in pricing during the last three years has made LCD TVs featuring light-emitting diode (LED) backlight technology more cost competitive with televisions using older lighting technology—and has allowed them to become markedly less expensive than plasma televisions. 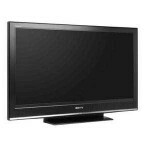 The average retail price for LED TVs sold in the US dropped to $1,251 in the fourth quarter of 2012, down 38 per cent from $2,031 in the first quarter of 2010, according to the IHS TV Price and Specifications Tracker. By the fourth quarter of 2012, the average price of an LED TV was just $620 more than for an LCD TV using conventional cold-cathode fluorescent lamp (CCFL) backlighting, down from $1,127 in the first quarter of 2010. Meanwhile, average LED TV pricing was $364 lower than plasma pricing in the fourth quarter of 2012, down from $289 more expensive in the first quarter of 2010. Meanwhile, plasma TV pricing has held steady, contracting by just 7.3 per cent during the past three years. Plasma TVs are being marketed as more exclusive, high-end products. Almost all plasma models now available have 3D and Internet-connectivity features. Sets with extremely large display sizes have also dramatically increased their presence in the product lines of TV brands during the past year. In particular, 55-inch sets surged to 19 per cent of the number of models in all brand lines available at retail in the fourth quarter of 2012, up from 8 per cent in the first quarter of 2010. A big surge also took place for 60-inch TVs and their place among brand product lines, rising to 8 per cent, up from 1 per cent during the same period.